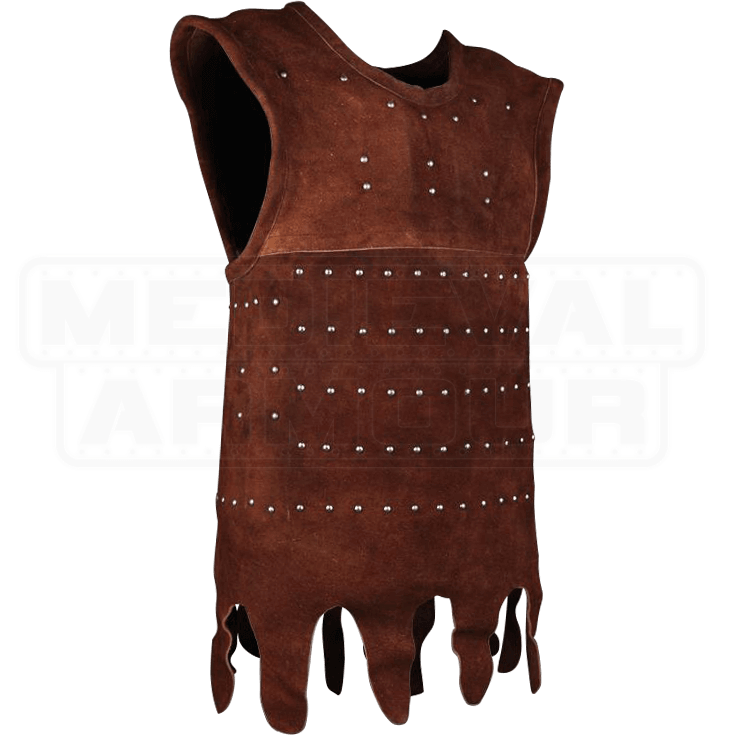 Medieval brigandines like the Wisby Suede Leather Brigandine offer protection equivalent to a cuirass while allowing more flexibility because of superposition of bands along a textile or leather body. This brigandine model, also known as Type I, is possibly one of the most popular and well-known pieces used in the Wisby battle. 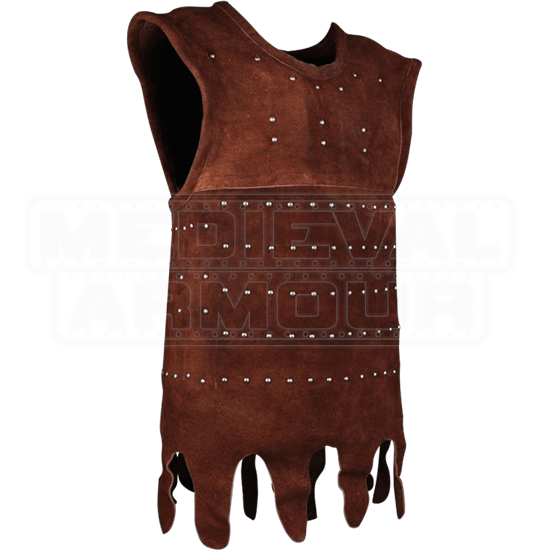 The wavy bottom edge of the leather armour gives this suede brigandine a unique look. In July of 1361, Valdemar IV of Denmark sent a group of armed men along the Gotland coast. Poorly armed locals did not stand a chance against the invading troops. Archaeological remains of this battle have been described as one of the most fearsome revelations of a medieval battle known to archaeologists. Many studies have been done about the historical armour used in this battle due to the large number of pieces found in the mass graves.